As mid-career rewards go, Support the Girls is a well-deserved gift for Regina Hall. Long appreciated as a comic performer (her loyalty to the Scary Movie franchise was above and beyond the call of duty) but too often underused as a leading man’s wife or girlfriend, Hall assumes full ownership of this warm and funny film. Her triumph is all the more impressive because the setting suggests a very different kind of movie. Most of the action unfolds at a suburban Texas sports bar that bears a strong resemblance to Hooters. Lisa (Hall) is the ultra-professional manager of Double Whammies, one of those places where the quality of the food has an inverse relationship to the amount of cleavage on display. In The Miseducation of Cameron Post, the iceberg is a running joke, born of despair. The teenagers trapped in the therapy center try to think of gay-causing explanations they can write on their icebergs—a childhood trauma? an overbearing parent?—and sometimes borrow other kids’ scrawlings (how well I remember being a Catholic schoolboy and trying to come up with two or three credible transgressions to offer up in the confessional every week, so I would sound believably sinful). You have to wonder whether the organizers of God’s Promise, the fictional gay-conversion school, have really thought through this iceberg metaphor. Are the teenagers the icebergs, or are they the ships steaming toward a collision? Portland’s resident filmmaking genius, Gus Van Sant, can go either way. Sometimes he’s mainstream (lest we forget Good Will Hunting) and sometimes he’s experimental (in the remarkable Elephant and Gerry). For his latest film, he wears both hats. Don’t Worry, He Won’t Get Far on Foot is Van Sant’s tribute to fellow Portland legend John Callahan. You may remember Callahan: the carrot-haired quadriplegic cartoonist whose squiggly-lined drawings repeatedly crossed the borderline of good taste. 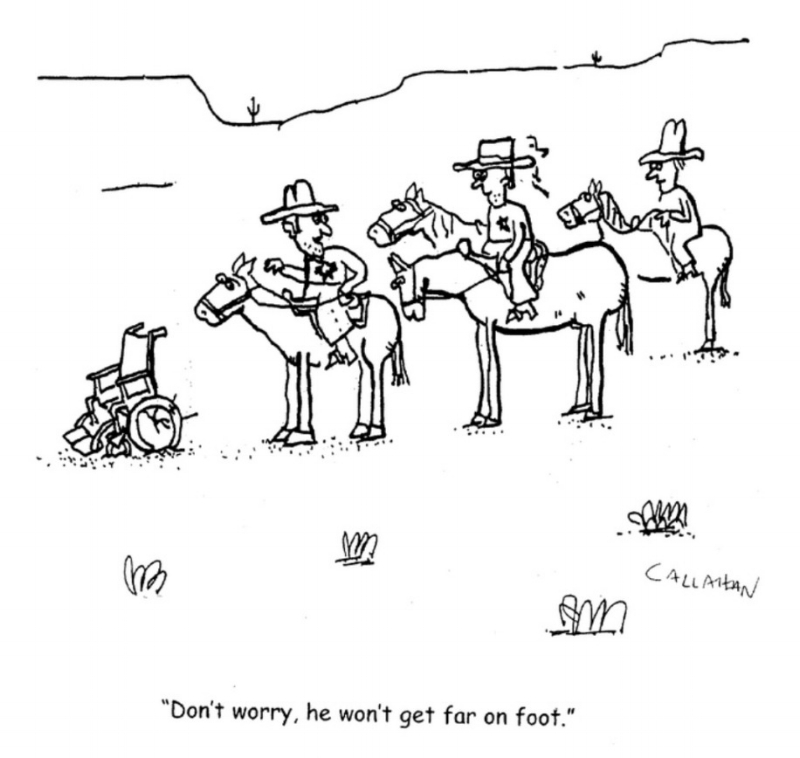 The title refers to the caption of one of his most famous panels, a picture of some cowboys pondering an abandoned wheelchair in the middle of the desert. Before his death in 2010, Callahan worked with Van Sant on developing this biopic. The greatest movie mind-blower of them all turns 50 this year—a wildly imaginative, influential, psychedelic riddle. But I know what you’re thinking: What about its algorithms? I checked Rotten Tomatoes, and 2001: A Space Odyssey sits with an 89 percent audience score. From critics, it has a comfortable 92 percent “Fresh” rating. That’s a mere eight percentage points behind Paddington 2. Sweet. But Stanley Kubrick’s sci-fi epic has been an official classic for decades. That tends to skew the vote. How would audiences rank 2001 on Rotten Tomatoes or IMDb if the film were unleashed as a new thing today? Even in 1968, critics argued over its slow pace, its violation of storytelling conventions, its baffling ending. Given the recent low audience scores for arty horror movies such as Hereditary and Annihilation, and the online tantrums thrown by Star Wars true believers who can’t abide variations on the formula (the faithful deliberately tanked online ratings for The Last Jedi and Solo), I wonder how the perversity of 2001 would go over now. The Internet-era urge to “solve” enigmatic movies might also work against Kubrick’s masterpiece. What’s the deal with that black slab? Who begins a movie with 20 minutes of monkeys? Why the giant baby?